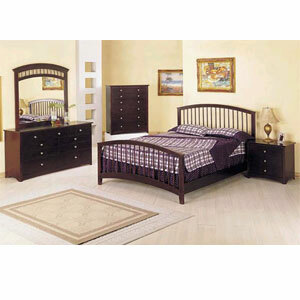 Queen Size Fantasy Bedroom Set in Espresso Finish. Available in White Finish and Cherry Finish. (See Related Items) This Bed Includes Headboard, Footboard and Rails. Also Available (Sold Separately) Nightstand, Dresser, Mirror and Chest.